Any knowledge of a Tonya Howell (#A961665) or a *CHH (#T980764)? Keep up the good work young lady! I really appreciate you for what you do. Amazing research/discovery/genealogy….per the incomparable Kianga Lucas. Kudos to her. I just wanted to add that in my ole neck of the woods…SE Nohrthampton County, NC was a family of Wynn. They were perhaps the tallest group in my community. Gene Wynn, was about 6’7″ and played center position on the historic W.S. Creecy High School Basketball team 1969-1973. His grandfather was about 6′ 9″ tall. They along, with many of us in that community allegedly had Native American/Indigenous blood. The Wynn’s were definitely among these allegations of having said Native Blood. A descendant of these Wynn’s is also close cousin to me. no surprise there. He is a former University Of Richmond VA Spiders basketball player @ 6’7″. His name is Montgomery Sanders. His maternal grandmother is a Wynn. His Grandfather is a Claymon Walden Jones Guy Moore who is my great uncle. Now, looking at pic Kate Wynn b 1887-1969 I definitely see a resemblance to my Wynn neighbors as I remember them. And, of course with all the migration/oppression going on…a lot of Indigenous FPOC landed in the Rich Square, NC district because the Quaker presence was very strong in this area at one time. And they were very tolerate, helpful people i n education etc., who’s faith was in “God” and they followed the teachings as well in most cases. Kianga, the more that I read about our people, the more amazed I am! It is very interesting that you and I share many names among our ancestors: Evans, Gibson, Collins, Howell, Wynn… Sure wish I could talk you into researching the Locklear/Locklair connection to these names. Christanna???? Great article – thank you! 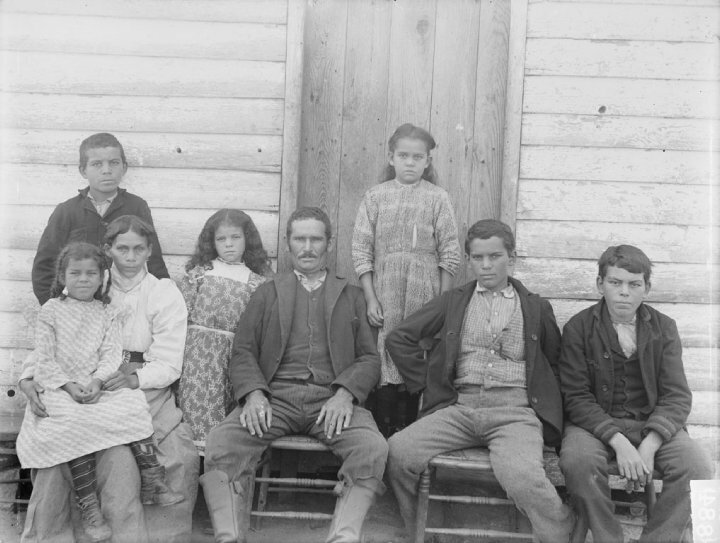 I happened to come across a link to your blog after reading another blog called “Renegade South” and was immediately fascinated by your genealogical and historical research on your Native American ancestors in North Carolina. Your mention of the GIBSON family stood out to me because my mother’s maternal great-great grandmother was the mixed-race daughter of William Thomas PEGUES and an unknown African-American mother in Post-Civil War Louisiana. William PEGUES is a descendant of the GIBSON clan that settled in South Carolina near the Pee Dee River. The PEGUES clan immigrated to South Carolina from London in the 17th century. The GIBSONs in SC that intermarried with the PEGUES were said to be free persons of color with origins in Virginia. I suspect my ancestor may be Gibby GIBSON and am wondering if he was a relative of Jane GIBSON, the Native American woman held illegally in slavery. I found this article very interesting. I am a Byrd, Lightfoot, Howell and Powell descendant. I have DNA a matches to numerous surnames on the Plecker list. My husband’s great grandfather was John Camm Wynn. He had a daughter named Mary Eliza who married Leroy Madison Sr. Have been trying to find John Camm’s father.Any information at all would be appreciated. Absolutely loved your article so much information.Thanks for all you do. I just found out my grandfathers name is herbert clayton howell 1916-1979 married to marguerite shadoan. I had a 6th great grandma i cant take back any further, was a Owl ( Howell) wish i knew more of her.. Love your Research TY for sharing the Howell info.Aggie Owl (or) Howell, born circa 1735-8 (probably in Albemarle Co., VA.
Kianga: Do you have any information on a Sarah Howell born around 1780 that married an Ezekiel Sullivan born around 1770? These are my 5x grandparents and are a brick wall. I know of 2 children – John Sullivan my 4x grandfather that married Abba or Abby Unknown and Nancy Sullivan who married William Barrett. Ezekiel Sullivan’s parents were Thomas Sullivan and Prudence Roberts. Any direction you can give me will be appreciated. I’m a friend of E.C. Arnold. My wife’s grandmother is Carrie Lena Collins (her Mother’s Mother). She is sitting on Pinkey Howell’s lap in the photo above. Your research is fascinating and has filled in a few gaps in our tree. We are always interested in learning more about the Collins family. I am related to Margaret Howell (Ienza) would like to touch base with you I have a picture of my family tree I have been trying to work on! !